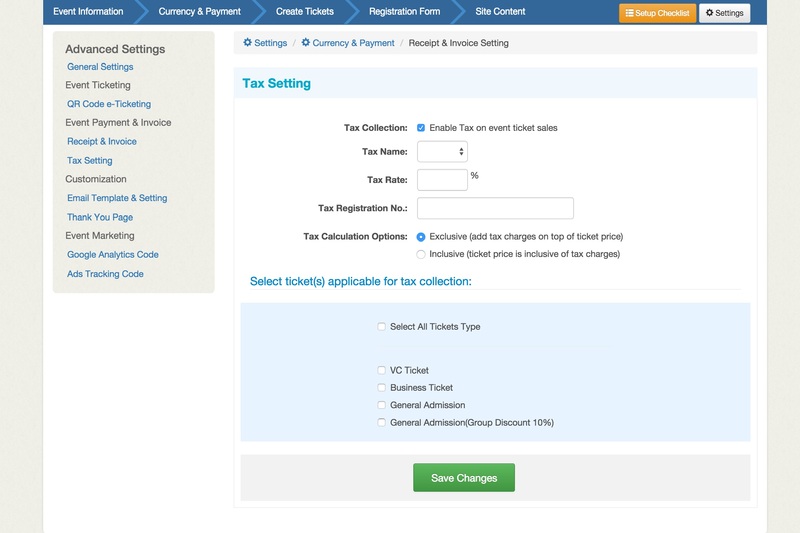 Can I collect tax in my ticket sales? Yes. 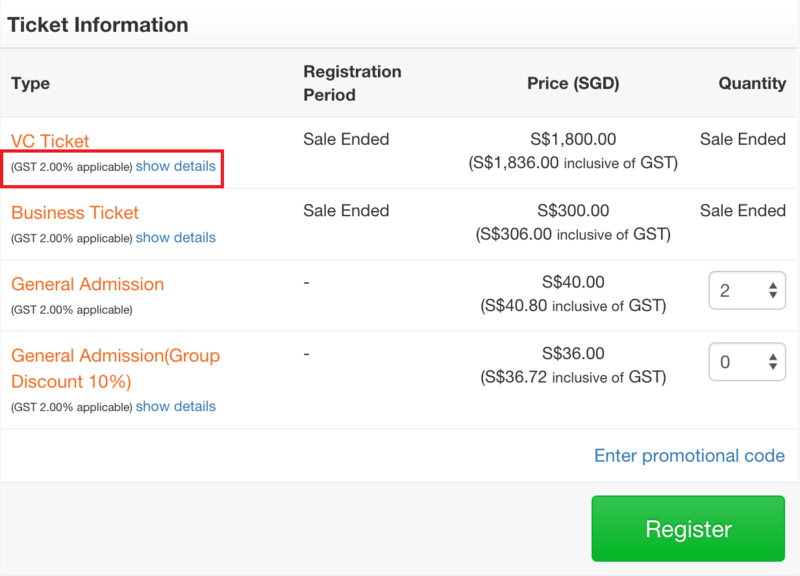 The event can be enabled with tax charges such as GST, VAT in ticket sales order. 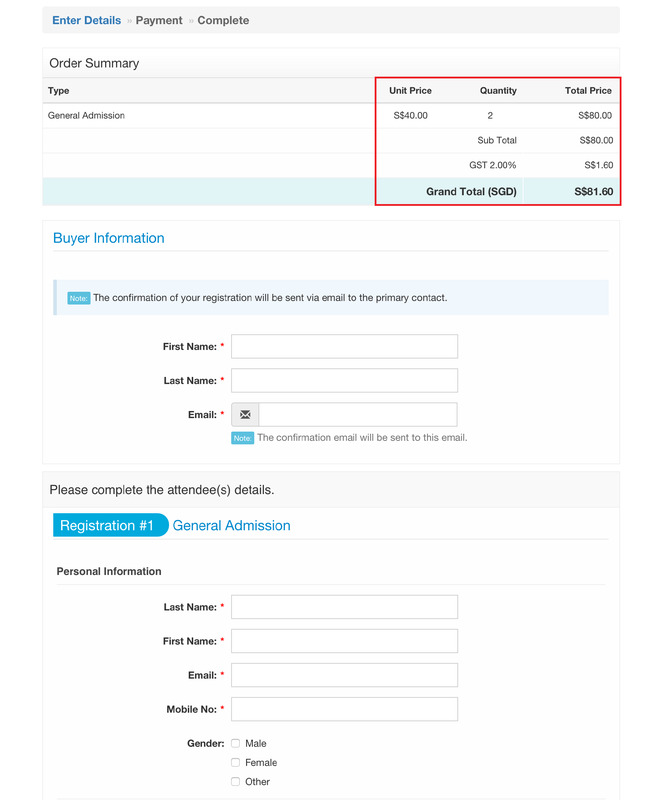 Here is an example of the event with Tax charges on ticket price.